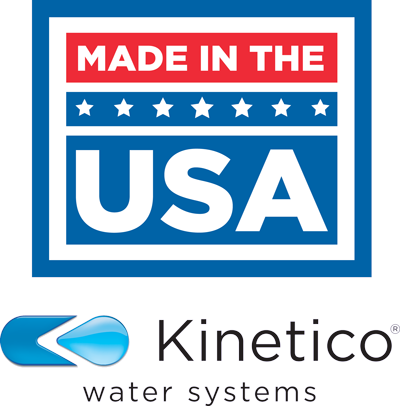 The K5 is our most advanced reverse osmosis system ever. Certified to remove more contaminants than any other system, it can produce more than 40 gallons of water a day—nearly three times the industry average. And thanks to FlexFiltration, its multistage filtering system is fully customizable and expandable to fit your water’s specific filtration needs should they ever change. The K5 is protected by a 10-year warranty on all parts. Cartridge Options. Eight different options to meet your removal needs now and in the future. Includes the Purefecta® Virus/Bacteria Guard for microbiologically pure water. The Mineral Plus cartridge improves the taste and health benefits of water by adding magnesium and calcium back into the treated water. Cartridges also available for arsenic, chloramines, chlorine/sediment, sediment, perchlorate and VOC reduction. Final polish with carbon post filter. QuickFlo Technology. Delivers a strong flow of water from the faucet. Allows system to produce more water in less time. High Daily Production. Can produce more than 40 gallons per day. Quick Disconnect Sanitary Filter Cartridges. Makes changing filters easy. Patented, Exclusive EverClean® Rinse. Consistently-high water quality. Increases membrane life – lowers maintenance cost. PureMometer® Filter Life Indicator. Shows filter capacity. Patented, Tamper-Proof MACguard® Filter. No more wondering when to change cartridges. Assures high quality water and peace of mind. Automatic System Shutdown. Conserves water – doesn’t run water continuously to drain. Exclusive Designer Faucet. Lead-free, stylish design available in a variety of finishes. Non-Electric, Totally Automatic. No electrical problems. Efficient Operation. Conserves water, lower operating costs. Outstanding Warranty. Dependability, peace of mind. Are you ready to experience fresh, clean water? Please fill out the form below to get a free quick quote. We’ll get back to you within 24 business hours.